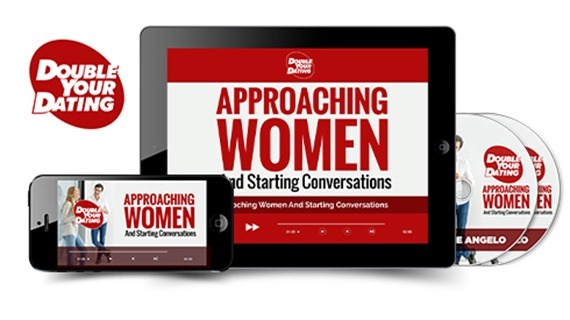 I’ve put together an entire, one-of-a-kind program on Approaching Women And Starting Conversations… and it’s going to turn your world around. This program will help to implant the skill of approaching women into your game, mind, and personality… and make it a permanent part of who you are. … and how to read a woman’s signals fast so you know when she wants you to approach… the exact time when you should approach… and when you shouldn’t waste your time. You’ll hear from a psychiatrist who will show you how to rid yourself of the negative beliefs that are sabotaging your success… as well as two wing women — ladies who introduce men to women for a living — who will spill the beans on how you can use other women to meet the ones you want. And a whole lot more – as you can see, we’re going to leave no stone unturned. This program will give you all of the tools… but more importantly… by going through this intensive training, you’ll gain the actual skills you need to use them successfully.